The 2019 Chevy Camaro is ready to blow you off your feet. It offers an unmatched combination of performance, technology, and style. With numerous customizable features, you can get a Chevy Camaro that suits you perfectly. Find out why this legendary sports car is a top choice on or off the track. Take a look at the bold design updates on the 2019 Chevy Camaro. It has a taller hood, brand new grille, and 11 color options including the new Shock, an attention-getting body color for the bold. The 2019 Chevy Camaro also features new LED headlamps and heritage-inspired round taillamps. Combine all this with an aerodynamic exterior and it’s clear the Chevy Camaro was designed for performance. Find additional performance driving features on the interior, like a flat-bottom steering wheel and ergonomic controls. If you’re looking for an even more eye-catching and luxurious ride, customize your 2019 Camaro with available RECARO® seats, a wide selection of wheels or stripes, a convertible soft-top, and much more. 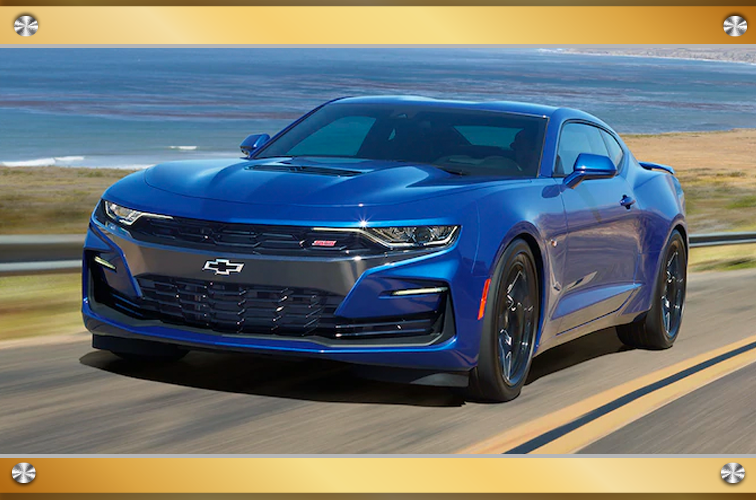 Not surprisingly, the 2019 Chevy Camaro sports car was engineered for precision power and outstanding performance. It has four engine options: the 2.0L Turbo, which gets up to 31 MPG; the 3.6L V6 available with 8-speed automatic, and Active Fuel Management™; the 6.2L LT1 V8 with Direct Injection and Variable Valve Timing; and the 6.2L LT4 V8, which has 650 horsepower and goes from 0 to 60 in 3.5 seconds. Thanks to transmission options, an available dual-mode exhaust, and plenty of other options, you can make the 2019 Chevy Camaro perfectly suited to your driving style. 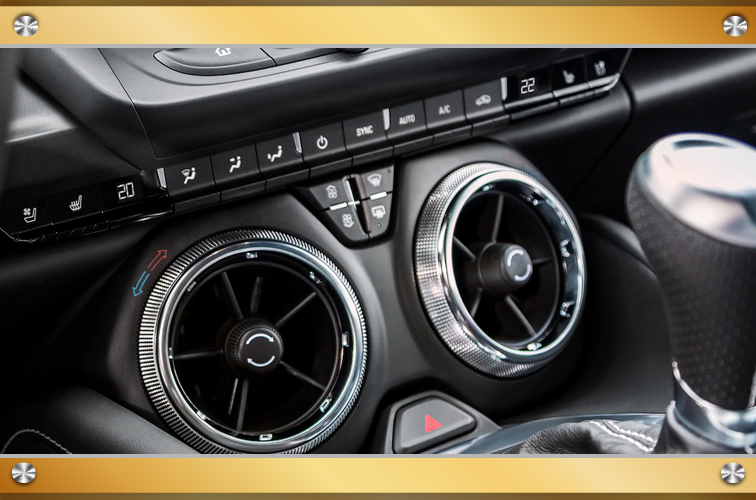 Finally, the 2019 Chevy Camaro is also decked out with all the latest technologies for entertainment, convenience, and performance. It has the new Chevrolet Infotainment System, Bluetooth capability, smartphone compatibility, a standard 7-inch or available 8-inch touchscreen, a built-in 4G LTE Wi-Fi® hotspot and SiriusXM Radio. As far as driving convenience and performance, the 2019 Chevy Camaro offers a rear camera, available heads-up display, a Driver Mode Select, and an available Launch Control. The available Performance Data Recorder in the 2019 Chevy Camaro means you can analyze and improve your technique. Truly everything that has gone into the 2019 Chevy Camaro will give you a sports car experience unlike any other.